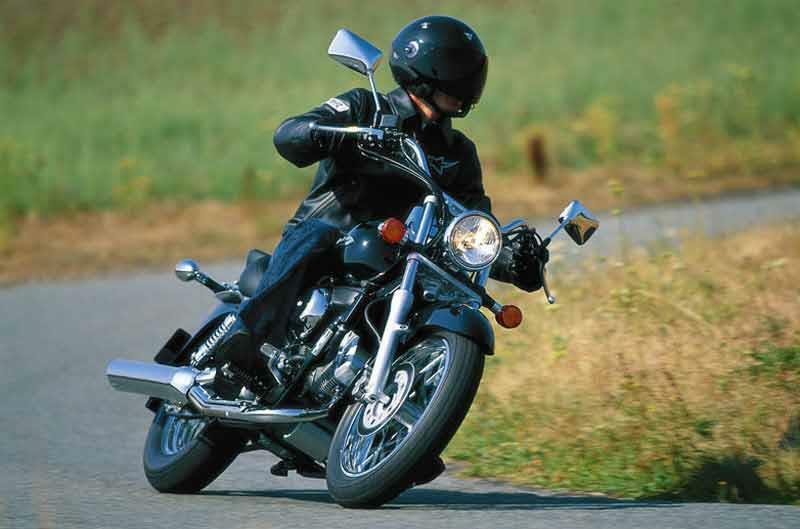 If you’re ultimately yearning for a mammoth cruiser but have yet to perfect the art of riding one, the Honda VT125C Shadow is the bike for you. The littlest Shadow looks the part, is beautifully finished, very reliable and is relatively gentle and forgiving for the novice rider. The Honda VT125C Shadow is a bit lardy, and rather expensive, but an excellent entry level machine for custom fans. Wide, plush seat, forward footrests and high bars make for laidback riding, California style on the Honda VT125C Shadow. Brakes and suspension are ample; nothing’s too extreme. The Honda VT125C Shadow is heavy for slow-speed work and ground clearance is a problem if you get too excited in corners. The Honda VT125C Shadow does burble along beautifully, though. 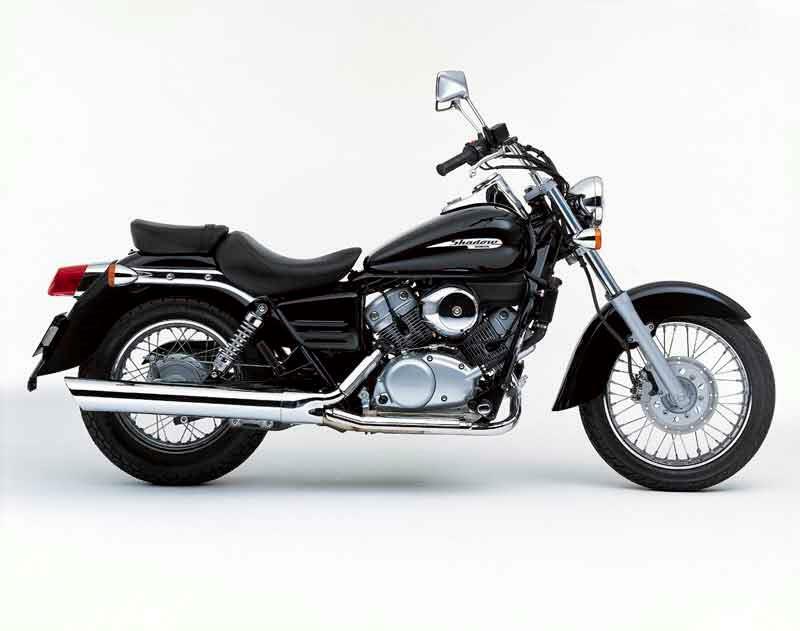 Honda VT125C Shadow has a liquid-cooled, 90° V-twin. It pumps out more power than other 125s (think Honda’s CG with its meagre 10bhp) but it carries a hell of a lot more weight (add about 45kg) so, while it works wonders, the Honda VT125C Shadow is underpowered for such a heavy motorcycle. Smooth and torquey down low, the Honda VT125C Shadow's shortcomings only really show up out on the open road, ie: precisely where you’ll want to take it! The Honda VT125C Shadow's finish is fantastic, as is the engine, plus Honda parts and servicing offer owners reassuring back up. 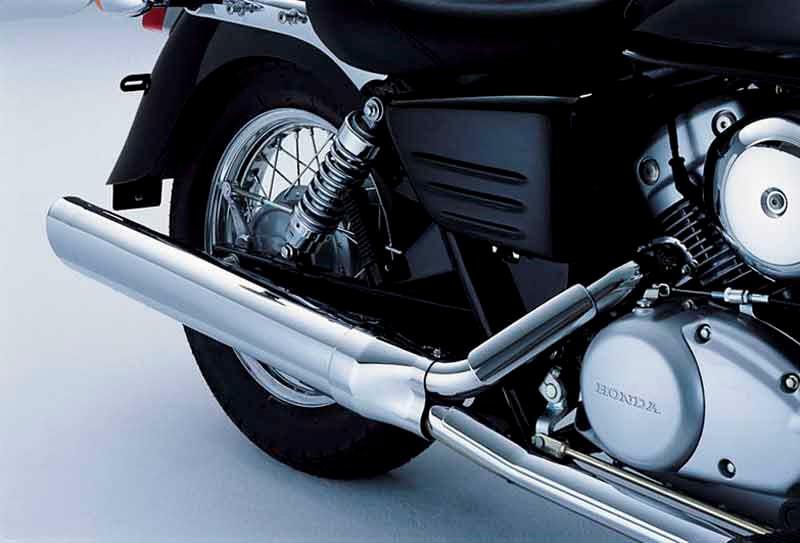 Up close, you can see why the Honda VT125C Shadow's pricier than its counterparts: it’s a “proper” looking motorcycle, well at home amongst larger cruiser types, and that sleek 2–1 exhaust is a winner. Lovely. 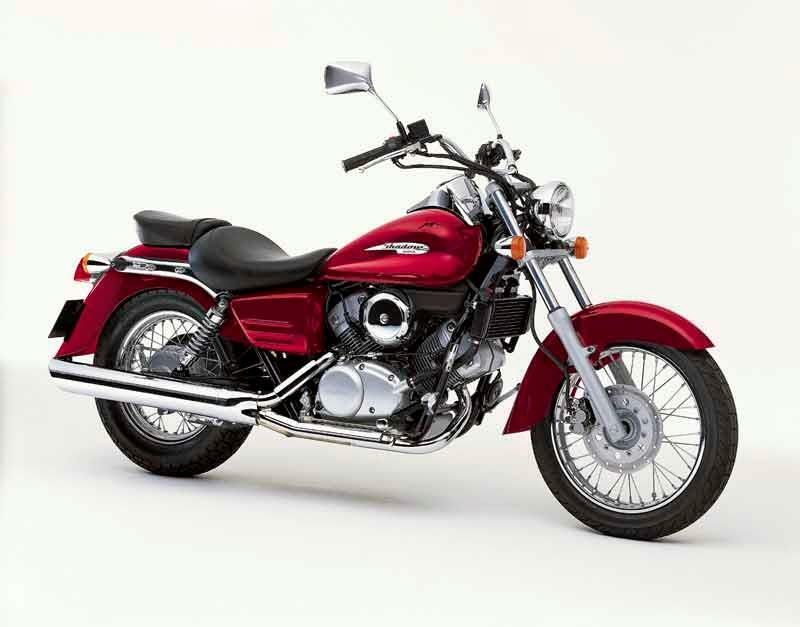 For a 125cc cruiser, the Honda VT125C Shadow costs a packet. Rivals such as Suzuki’s GZ125 Marauder and Kawasaki’s EL125 Eliminator are massively cheaper. However, they’re pretty basic. The Suzuki VL135 Intruder is the Honda VT125C Shadow's main rival, at a similar price, but lacks the build quality and has a few less bhp. 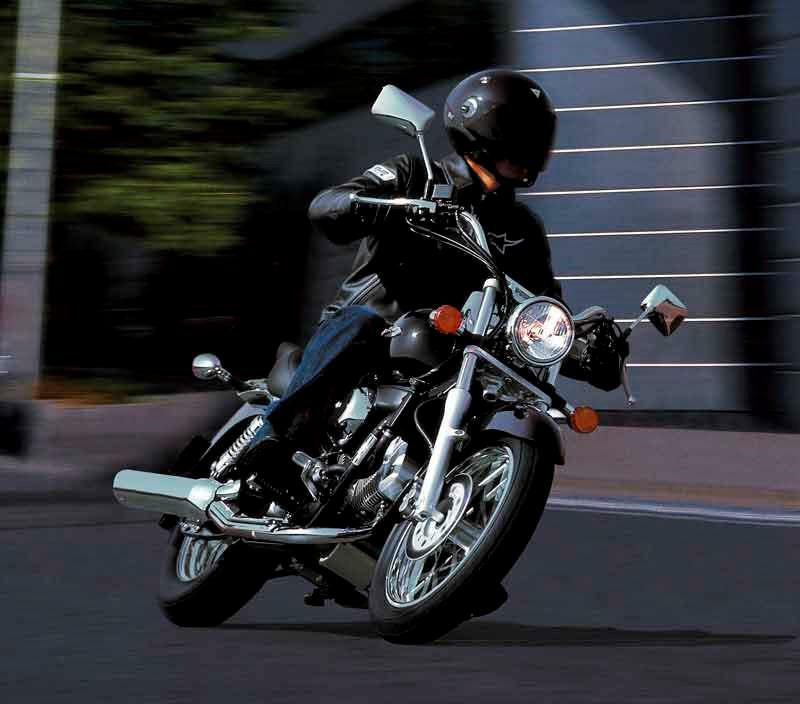 The Honda VT125C Shadow holds its value well. 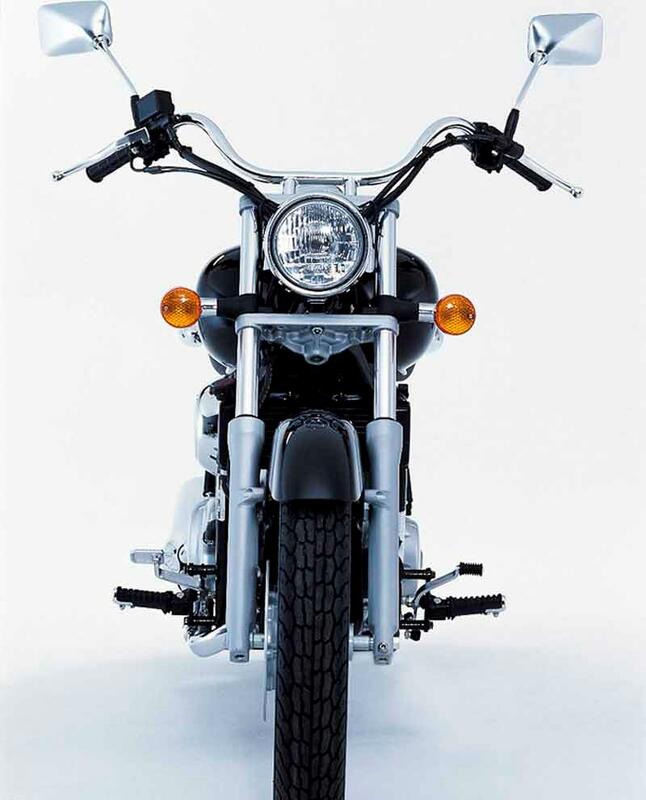 Find a Honda VT125C Shadow for sale. 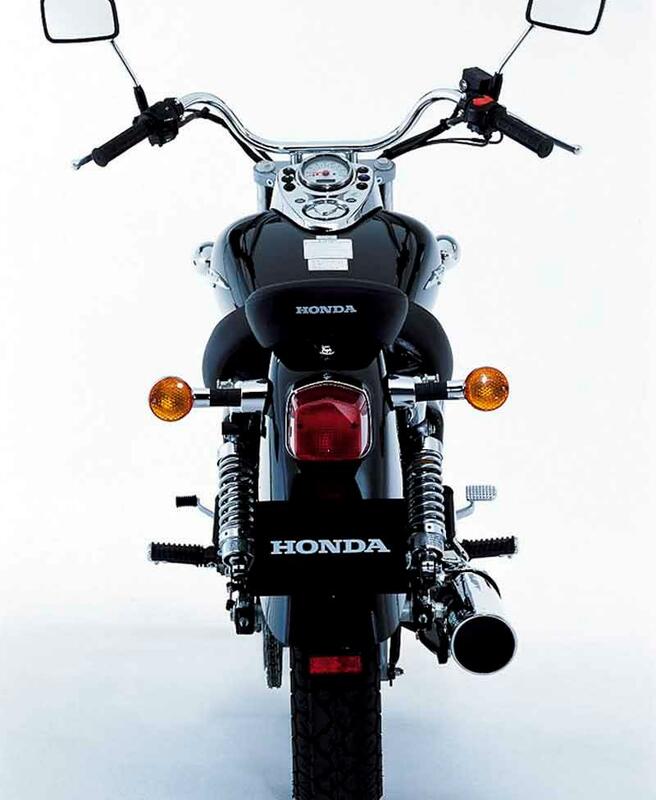 1999: Honda VT125C Shadow launched. Only minor changes since. 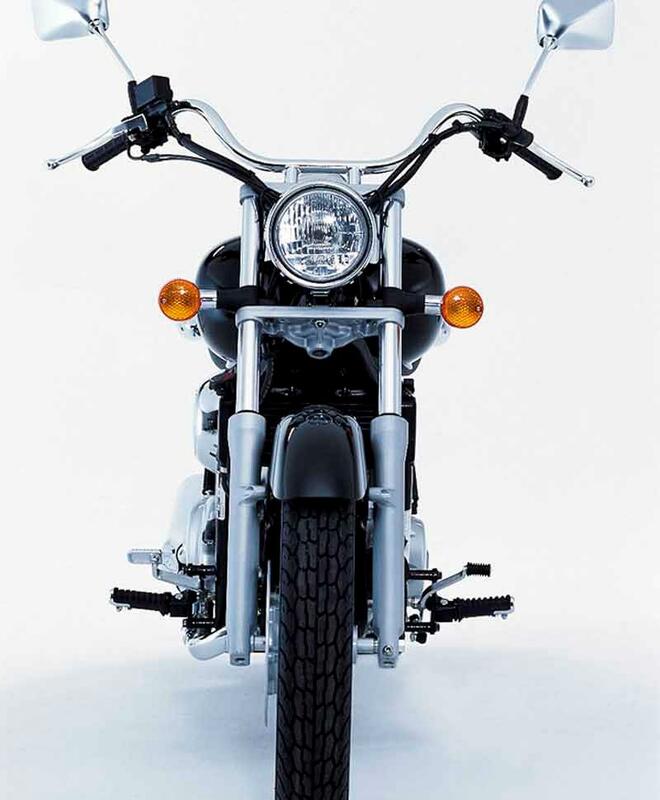 13 owners have reviewed their HONDA VT125 SHADOW (1999-2007) and rated it in a number of areas. Read what they have to say and what they like and dislike about the bike below. Fantastic little bike. If only there were a 250cc version. A great little town hopper! Will happily cruise along at 60+ mph without a problem. Does what you expect from a 125cc. Low centre of gravity and the extra 'oomph' the V-Twin pumps out compared to other 125's more than makes up for its 'lardy' feel to it. Great for learning on. A real head turner! Laid back feeling about the bike and makes you relax due to the seating position. Takes a while to get used to the wider bars but is comfortable. Single disc front brake and rear drum brake. Again, nothing special and does the job for a 125. For a 125cc it does exactly what you expect! This bike, despite its weight, is not slow by any means. Has a lot of usable low and mid torque making it ideal for urban riding and for new riders. A lot of chrome to keep clean! Needed replacement chain and sprockets after 8k miles. Chain was original. Fuel economy is only slightly less than you expect from a 125 commuter. From my estimates based on a mixture of urban and faster riding, 100 miles usually requires a 5-6 litre top up at the pump. Plenty of accessories out there! Whether you are looking for something practical or to improve the look, there is a lot. Bought privately. Was in great condition. These bikes can sell for in the region of £2000, give or take £500. Overall this bike is just perfect for getting around on with comfort, and the best part is that it doesn't look anything like a 125cc at a glance. It's slightly quicker than most other 125cc's as well because of it's V-Twin engine. Ilove this bike! I bought it after failing my first attempt at Mod 2 'cos it was obvious I needed more practice than just the training time I was getting at the bike school. I was getting very frustrated looking at my 650 Dragstar that I couldn't get on and use! I was lucky enough to find an 11 year old Honda VT125 Shadow on eBay that had done only 35 miles in its first 10 years, (with SORN notices to prove it) and had £1500 spent on it on Highway Hawk extras. It looks stunning - everyone thinks it is a 750cc or 1000cc cruiser and no-one believes it is a 125cc! I find it a bit easy to scrape the footpegs and the engine does struggle a bit uphill (though it can stretch to 70mph on a bit of a downwards slope), but for commuting, at over 80mpg, it is brilliant. I think I'll carry on commuting on it even after I pass my test unless it gets very windy in which case I'll probably go on the dragstar. Highly recommended! I was not going to get a 125 as being a big chap I looked a little silly on a cg etc. Spotted this in a dealer and could not believe it was only a 125. Having done CBT on a VanVan this bike is a revelation. It is so comfy and easy to ride, gear change easy, throttle smooth. I also do not see where they got their tank range from! I did 140 miles and could only get 8 litres in the tank, this equates to around 80mpg. Not sure about getting 80mph, so far have managed only 65, but as I said I am a big chap. For any adult sized person looking for a learner you will not go wrong with the VT 125. Is quite expensive compared to other 125's but this bike is not built like your average 125. Go sit on one and you will just feel the quality and comfort. 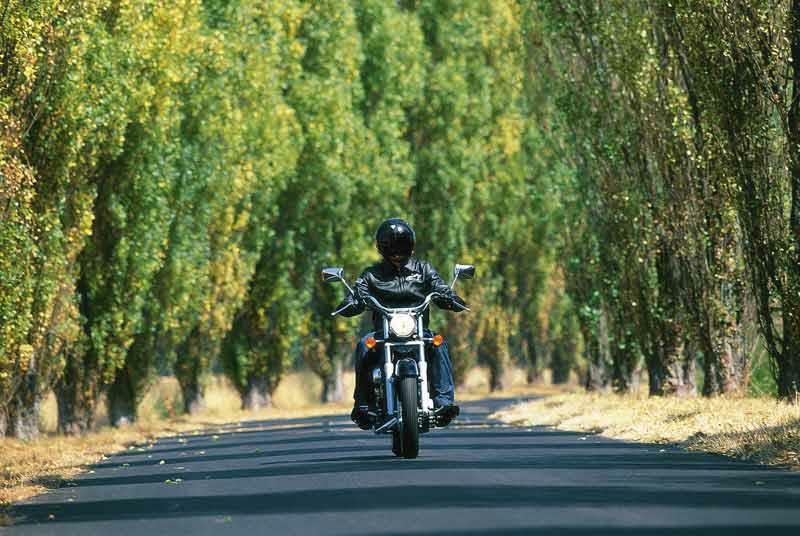 Didn't get into biking for a cruiser was going to go sports/tourer but the upright comfy position is just so nice and am seriously looking at triumph thunderbird for my 1st big bike! The spec's given here is nothing like my bike. Top speed 80mph (Head down bum up). Fuel Average 75mpg - 90mpg Average Range on 1 tank is 260miles i can get 190 miles on £11 worth. This is a great bike nice and smooth ride, corners well for a cruiser. I often get the bottom of me boot rubbing the road but i love it, tells me im being a muppet 8D. All in all its a lot of money, but you get more bike for your money compaired to suzuki or Kawasaki equivelents. Best bike i've every owned. Bought the bike new 3 months ago to get used to riding again before sitting my big bike test. Failed the test but not bothered, the little shadow is a great piece of kit to look at and to ride. I get around 200 miles to the tank (and I'm 16 stone+) and I've had 75 MPH regularly so I'm more than happy to stick with the 'wee shadow' until next year when I will try for the new test. Had this bike for 2 months. fantastic, my first geared bike, comfy , easy to understand looks bigger than it is, extremely reliable, absolutely love it, will never get rid!! lots of cleaning though!!! This is a wonderful first bike, not sure what people are saying about it being slow or heavy, it's smooth around town and in traffic and will get up to 80 mph on a decent straight without much hassel. Its a beautfully finished custom so if riding with your knee down is your bag then there are probably other bikes for you. Otherwise this is a great first bike just get a well serviced second hand one for better value. Bought a 2006 Honda Shadow 125 for £1699 with 3500 miles on the clock and in mint condition and I'm very pleased with it. Excellent bike to learn to ride on, with a nice light clutch, 125cc V-twin engine and very forgiving to mistakes. The only real niggle I have is the lack of rev counter...much anger! Being a cruiser the seating position is very, very comfortable, and while I've not been on any super long trips on it yet, I really feel like I could just ride it all day long. Fuel economy is excellent aswell. MCN must have made a mistake with their calcuations because I've covered 140 miles on a tank and only needed to fill up with 8 litres! Brilliant! I don't know what the reviewer is saying about it being lardy, underpowered and too heavy for slow traffic, though. It's a crusier with a learner legal engine...what do you expect?! Of course it's not as flickable as, say an RS125 would be but that said, it handles very nicely, it does reach 70 (eventually) and filtering on it can be a laugh, but is fairly easy to manage. 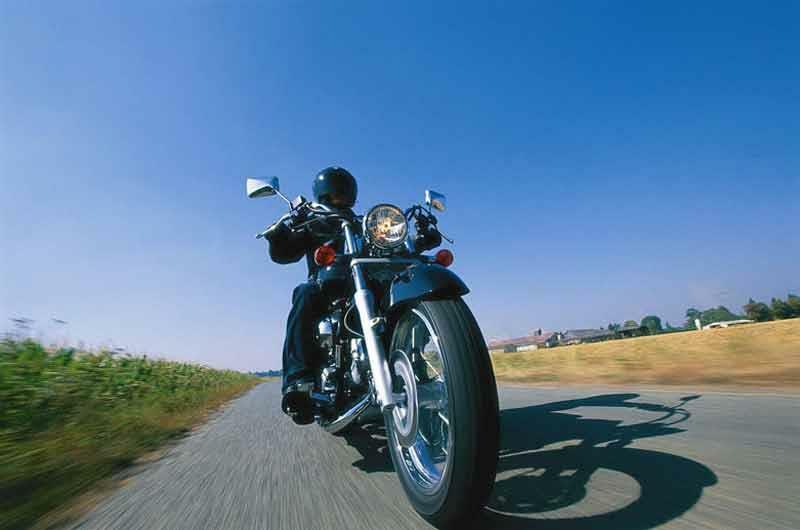 Ground clearance is no problem either, unless you really do go nuts as if you were on a sports bike! As for storage, mine came with a pair of lovely leather panniers which are adequate for small/medium sized items but will not fit a helmet. You might be able to squeeze a jacket with no spine protection in one though. Also, if you intend to take pillions frequently it would be wise to invest in getting the bacrest/rear rack. While the rear seat is very comfy, theres nothing behind your back which lowers confidence a little. Because of the rear rack included, you now have the option of adding more storage too, if you so desire. Overall, an excellent first bike thats easy to use. Get a well cared for 2nd hand one though, the price from new is very expensive.